Major SALE over at Educents! School is right around the corner, and I'm starting to get excited! A brand new year, a new class of kiddos, and tons of new supplemental curriculum to use that have been proven to work in classrooms! Have you checked out the deals over at Educents? Right now they are having a HUGE back-to-school blowout sale (through Saturday) and I am once again featured in the Tricky Math bundle! All the above links will go to the main page. So many deals for a short time. See something you like? Don't wait too long!! 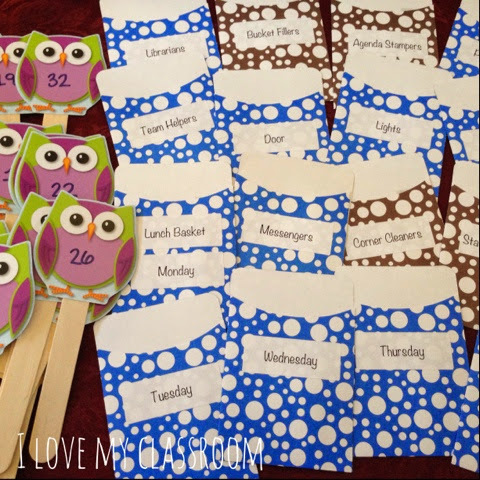 Two for Tuesday - Task Cards! It's Two for Tuesday! A day that 2 of my products are discounted 50% off! Check out The Teaching Tribune for other deals! I love using task cards in my classroom. I literally use them all the time. 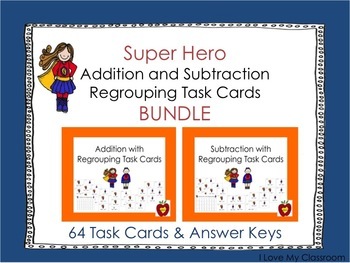 My Addition and Subtraction with Regrouping Task Card Bundle contains 2 sets of task cards. 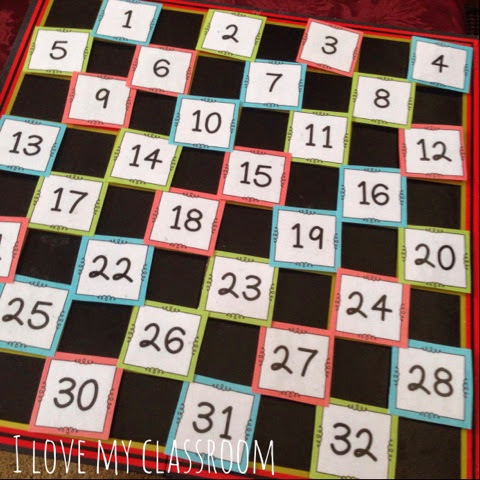 Students will practice adding and subtracting using those important regrouping skills. This bundle is only $2.40 today! These 32 Order of Operations Task Cards focus on reviewing Operations using parenthesis, multiplication, addition, and subtraction. Students must work on remembering what order to do first. It's only $1.50 today! I hope you have a great day! I signed up to be a mentor for first year teachers, so I get to meet them today and talk business. :) Hope they like me! Thanks Tara for hosting this linky! I made something that I've never done before. I decided to make more washi popsicle number sticks for each of my daily "meetings". Just like my checking for comprehension sticks, these have a piece of washi at the top that once done will be flipped over until everyone gets a turn. I just used classroom numbers so I can use them more than one year. Do you use a big wall calendar? Years ago I gave up the pocket chart calendar because I absolutely despise changing the numbers every month. I like just ripping the paper off and having the ready reference of reminder dates. I went through my big calendar and added all the dates for the entire year that I already know... minimum days, no school, holidays, vacations, end of trimester, report card conferences - all perfectly color coded. I also spruced it up with washi tape again this year, and added student birthday stickers on the days... I'll wait until school starts to write their names next to them. 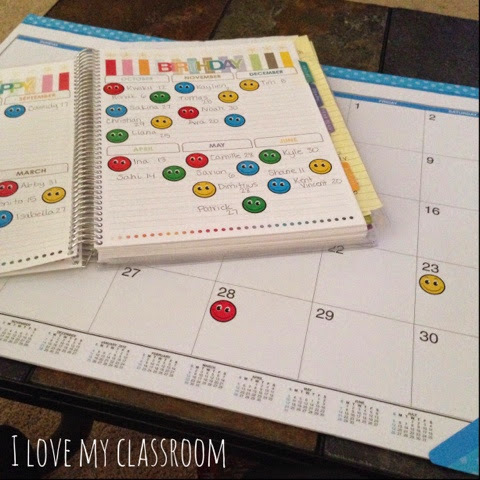 I also added my student birthdays to my planner. Stickers make it fun! Hope you have a fantastic day! 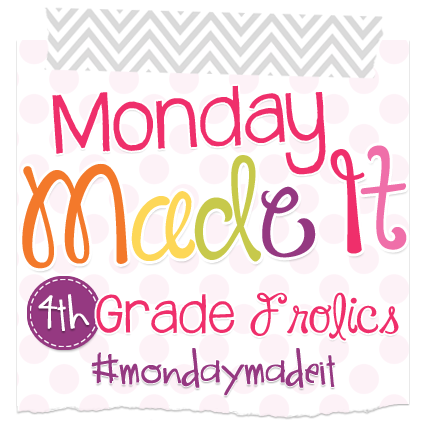 Check past posts this week for other freebies and projects I've gotten ready! I saw this Welcome phrase over on Pinterest and knew I had to have it in my classroom. I tried writing it out on anchor chart paper, but then I decided to go designing it on the computer. Yes, I know that the E and L are both 2 shades of yellow/orange, but that's the colored alphabet clip art that I own. :) If you want a copy of it, it's over on Google Docs. My idea was to make it into a big poster through Costco or Staples (and that might still happen), to hang on the inside part of my door - surrounded by my student names. I uploaded it over and over, only the border kept getting cropped. I went back to resize the photo, and that helped with the resolution, but not the cropping. Any ideas? At present I have it printed on paper, and ready for lamination. I hope you have a wonderful day. My 2 older boys are heading out to church camp for an entire week starting tomorrow morning, and I'm already missing them. 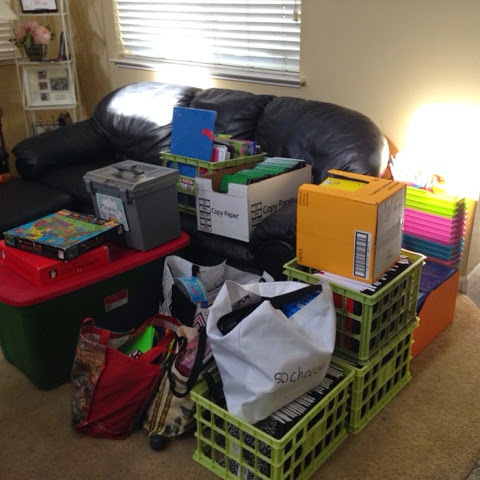 Of course this next week brings setting up my classroom - which I absolutely love to do. I just wish meetings didn't start so soon. Oh well... I hope this little poster helps you. 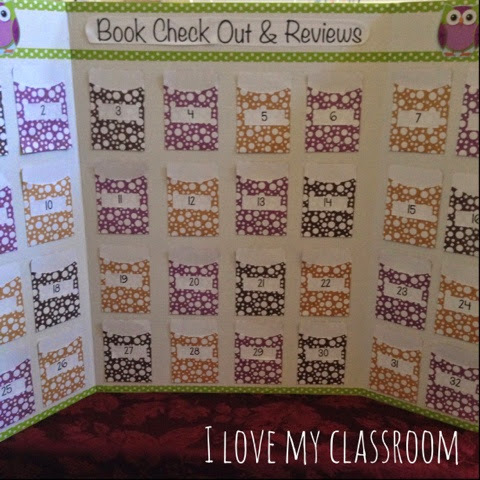 A couple of weeks ago I found 2 packages of these paper library pockets over at Joanne Fabrics on clearance. I have never stuck them inside books, but wanted to change up some random things with them this year. 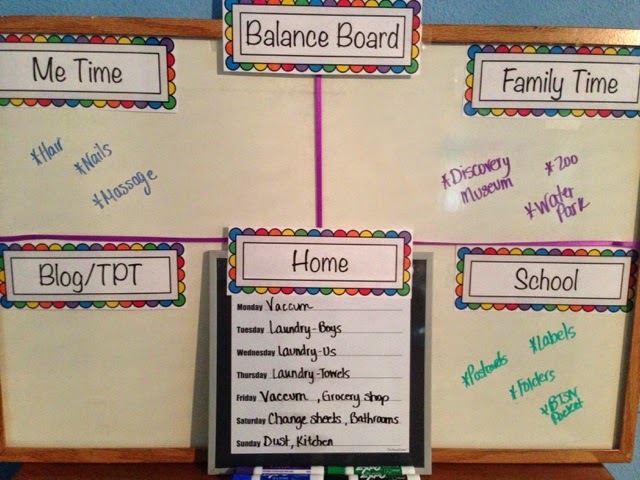 Did you know that Dollar Tree carries display boards? I picked one up the other day, and added the pockets, some class numbers, and washi tape to the board. I like to use display boards with bulletin boards that don't have to be out every single moment of the week. It's nice to be able to fold them up when needed. This board is going to be for Book Check Out and Reviews. Kids are going to keep index cards in the pockets with a running list of the books they are reading from our classroom library. 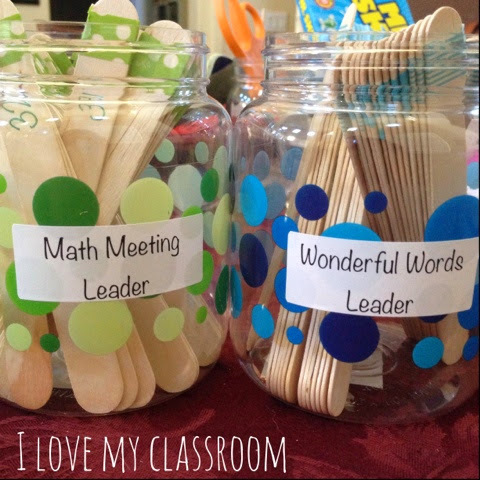 It will be handy for reading conferences too. I'm also thinking of having them do book reviews on index cards too to stick inside the pockets. After a while these will be hole punched and made into a flip book. The rest of the library pockets I decided to use to change up my helpers board. In past years I've always used a pocket chart with dicuts to keep things organized. I'm ready for a change though, so I decided to just staple these up on the wall, and will use the owl popsicle sticks inside them. Do you use library pockets? Tell me how. It's Friday! 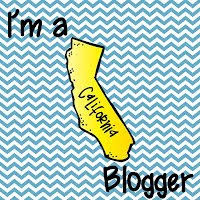 Linking up with Doodlebugs to share what I've been up to this week. 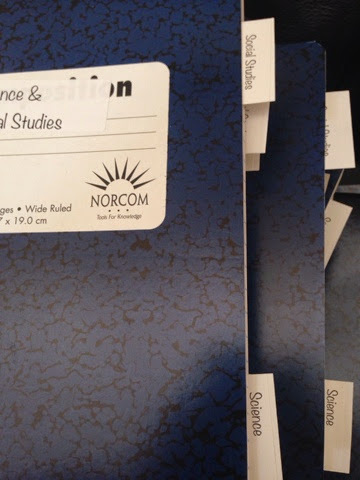 This week has been spent gluing tabs into my composition books. I've tackled 4 out of the 5, so I'm not quite done yet. 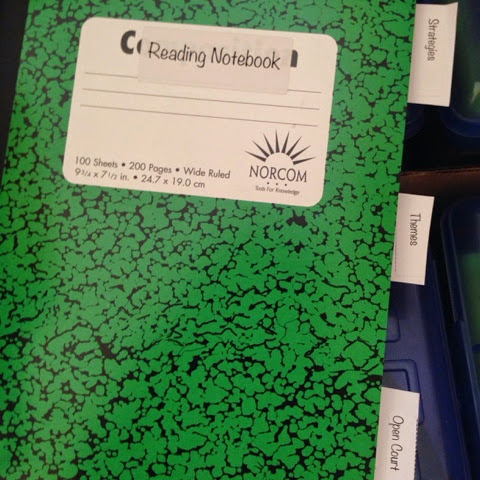 My notebooks are color coded by different subjects, and now these tabs will help kids to stay organized inside the books. My Reading Log has Classwork and Homework Tabs. In past years I've used 2 notebooks (spiral and composition) for this, but I'm trying to put it all together now. They respond in the classwork part after silent reading (I give them 5 minutes to complete a write up on their book), and homework is one night a week writing about their home books. Math is my red notebook this year. I split it into 2 categories - Skills and Problem Solving. 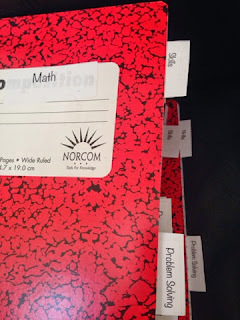 The front half will be our interactive notebook lessons, the second part will be a place to hold those word problems, journal prompts, and critical thinking. The green notebook is my Reading Notebook. I did a triple tab in here, the back half is all Open Court stuff - vocabulary and reading comprehension. The front half is divided into Strategies and Themes. The blue book will have our Science and Social Studies notes. 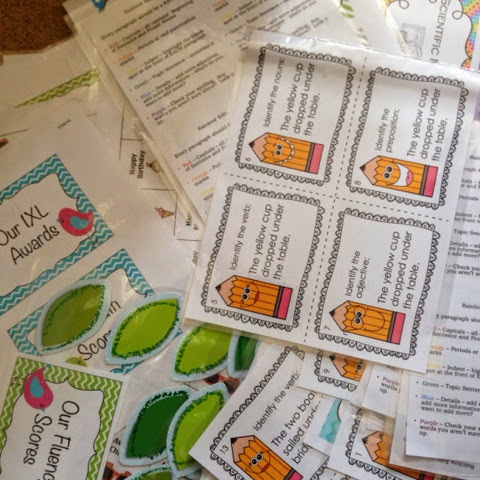 This is the first year the kids won't have workbooks to write in, so we will be spending a lot of time writing notes. How I put these together wasn't hard. It was just a matter of typing up labels for everything I wanted to use. The page tabs I typed up half size on the address labels, then cut and stuck them onto index cards. 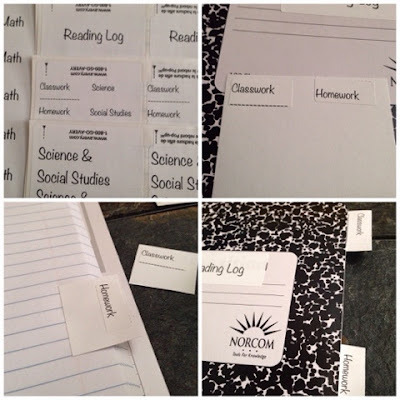 I cut the index cards to make tabs, and then glued it in the right spot on the edge of the book. Right now it's pretty secure, though I'm prepared to reinforce with tape. My pile is getting larger for school. I still have more projects to finish before Monday rolls around. Lots of laminating this week... Just when I thought I was done too! I had been so good about printing off resources that I had bought from other sellers that I forgot to print out what I made. :) Silly me! I also decided to put my store on sale through this weekend. This week there were a lot of bulletin boards being mapped out on the floor. 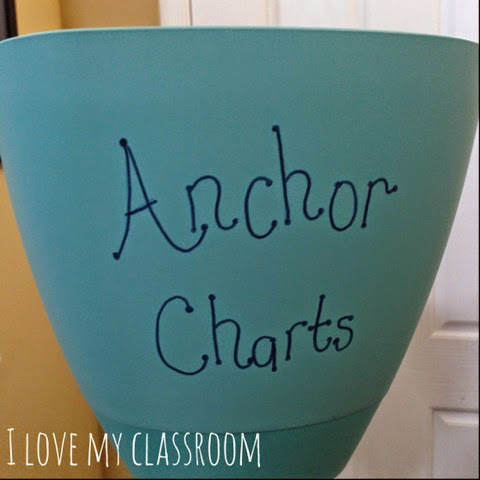 I really want to have a Data Wall this next year, but I wanted to stay with my green, blue, chevron, apple, bird theme I have going on in my classroom. 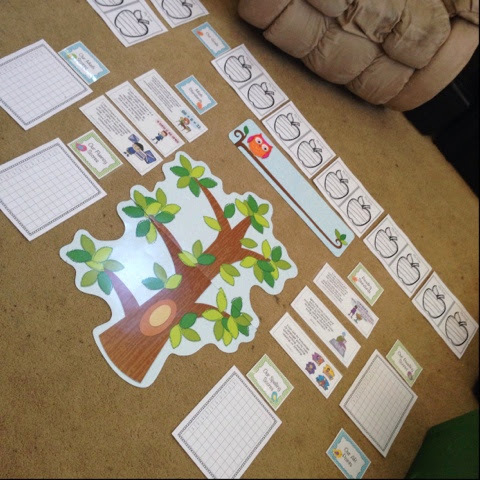 The tree will have laminated leaves that are added with different fun things that we learn this year. The cards and graphs will track the different Math and ELA scores - I've chosen to post the class averages so as a team we are working to improve. 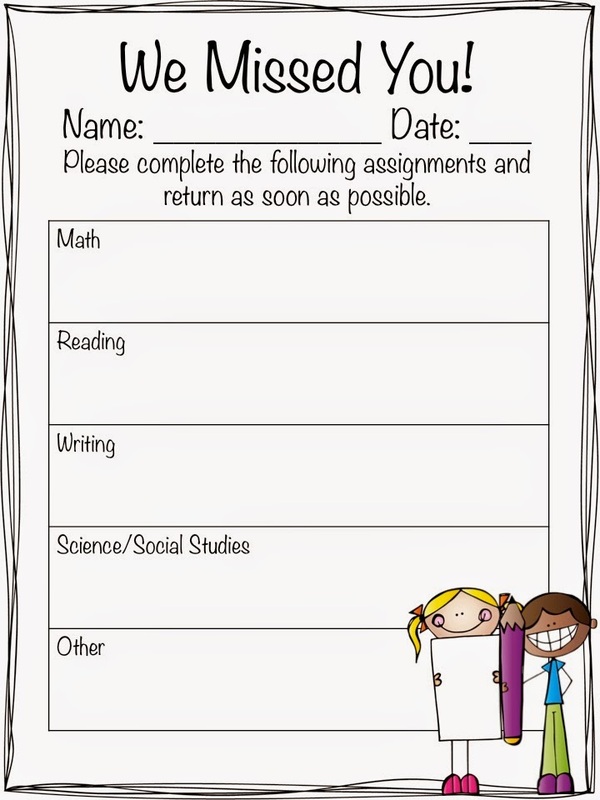 The kids will have their own data in their binders. 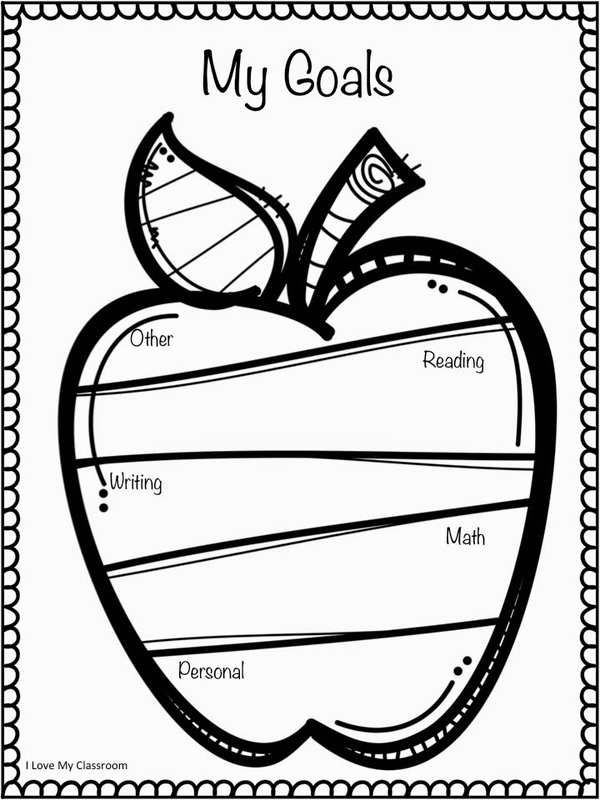 Here's a goal sheet that my kids are going to do that first week of school. I'm going to post them for Back to School Night. You can see them in the above picture too, they look great when printed 2 per page as well. Get it on Google Docs. Monday Made It - Checkers Board?? The end of summer is quickly approaching, and my to do list is getting longer! Thank goodness for Tara and her Monday Made It linky. Just a little something that I made... Have a great day! It's a rare day in my classroom that every single child is present. Sad, right? I plan all these lessons to get them from point A to point Z, and when they aren't there they will still have to learn the material later on. So when I started teaching I would make a little pile on their desks, have their neighbor pull out a piece of binder paper, and write down what they need to do.... then after school I realize that two of the papers have flown onto the ground where they have been crinkled, and that the neighbor wrote page numbers, but forgot to write which subject... so I ended up having to redo everything after all. 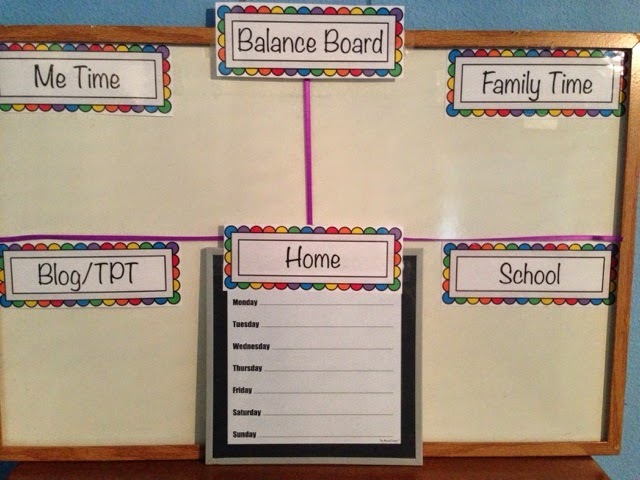 Enter an easier way to keep things organized. This freebie contains folder covers to stick on those plain cheap folders. When someone is absent, I put a folder on that person's desk. Then papers are passed out, and their neighbor nicely sticks it INSIDE the folder. When a page is written on the board, their neighbor writes the information on the graphic organizer. 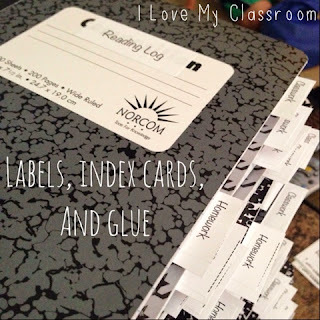 It makes it easy and quick for those class helpers to actually help. After school I look over the assignment sheet, add any extra notes, and paperclip it to the pile of paperwork inside the folder. Students in my class know they need to return any missing work one full day after they return back to school. When they come back to school, they just take the paper clipped packet out of the folder, and put it inside their homework folder to bring home to work on. 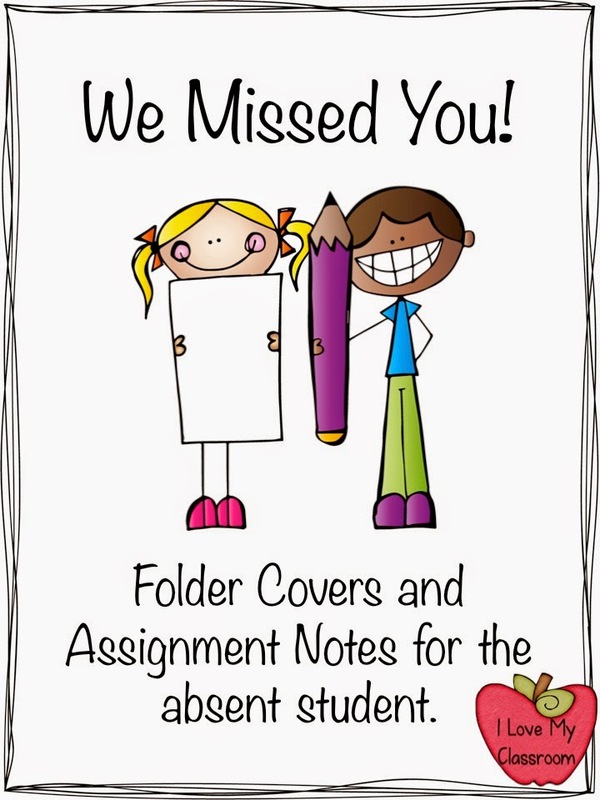 The paper folders stay at school for the next batch of kids that are absent. The papers come in both black & white, as well as in color. I printed off the color version of the color, with 4 per sheet. Just a small way to decorate the folder. The graphic sheet, I print off the black and white ones, half size and make a lot of copies at a time. These are then stuck in a basket with the folders. Balance... a word that I'm NOT good at. Once again it's going to be a goal to aim for this coming school year. I found this old whiteboard in our garage (doesn't every teacher have a whiteboard in their garage? ), so I used ribbon to divide it up into 4 sections. Then I made up these headers to stick into the corners. This is sitting on a bookshelf in our bedroom/office area. Just a little reminder of that balance I'm searching for. Hope it helps someone. Have a great day! Two for Tuesday - 3 items! Six at Fifty Percent Off!